At the main screen of Counter Strike, click the “Options” button and go to the “Game Settings”. Look for the entry called “Enable Developer Console” and set it to “Yes”. Now click the “Options” button again and go to the “Keyboard / Mouse” settings. Search for the entry “Toggle Console” and bind a key there. You could use any key, but set a key that is not used by Counter Strike, Steam or any other tool you run. Done. Go back to the main screen and open the console with the key you did set. Search and open the folder “Steam\steamapps\common\Counter-Strike Global Offensive\csgo\cfg” and open the file “config.cfg”. Start the game and in the main screen use the console key you did set, the console will open, you will also be able to open the console in the game. 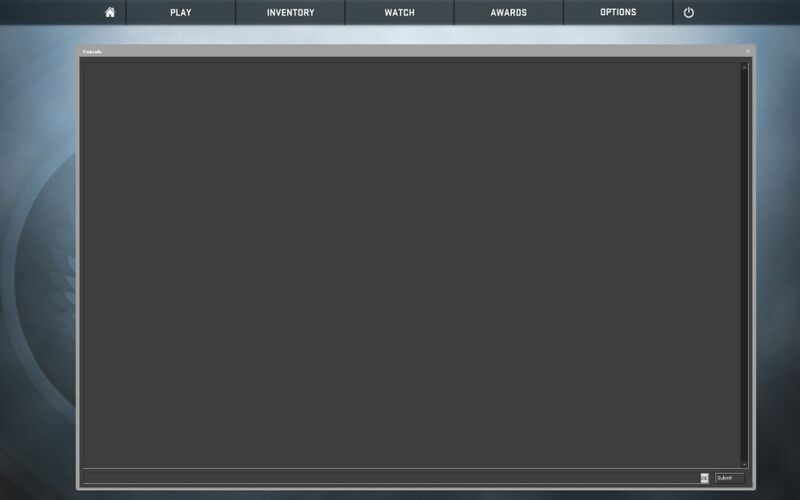 Done, you can finally start to use console commands for Counter Strike Global Offensive. I hope this guide helped you to learn how to activate the Counter Strike GO console, how to set a key for the console, and how to open the console. This console is quite handy if you want to use console commands for the time the game is running, but if you want to use certain console commands permanently, you should learn how to create a config file for CSGO instead. Happy gaming, or developing! If you liked the tutorial, feel free to share it or drop a comment below. Have been watching people on youtube open this, but I don’t understand why you would want to? Any info would be nice. Many games have a console where you can type in commands. Depending on the game, there are all kind of commands. You can for example change several settings through the console, but there are also commands that enable certain overlays, such as the frames per second display, or an overlay that shows your network stats and ping…. here is an example: https://diaryofdennis.com/2015/09/20/how-to-show-the-fps-latency-and-other-benchmark-data-in-counter-strike-global-offensive/ Showing the frames per second for example, makes it possible to benchmark your system or graphics card. It’s just one example for what the console is useful. It’s difficult to summarize it as there are so many console commands, but as said… see the console as something where you can type in special commmands. Another example would be that you can change the crosshair color via console commands. Also you can change things via commands that you could also change in the in-game settings menu. In games where there is a console, I most often use it to check my FPS or Ping, or to benchmark my system, or for other options that are not accessable through the settings menu. My problem is that I don’t have the config.cfg file in my folder… So I can’t search it. If it’s not in the folder I mentioned in the article, try to look into /steam/userdata instead and look if you find the csgo “config” in any of the sub folders. Use the windows folder search because there might be many sub folders and manual search would take longer.